For a festival weekender, it is important to get that flawless chic look before heading off to fully take in the festival experience. Thankfully, there are accessible products that will aid in this endeavor and most specifically, these products will leave you effortlessly tanned all weekend long. To get you festival ready, time is of the essence. No one wants to spend more than a few days to receive a natural tan; but fortunately, Minetan products offer self-tanning products that only take a few hours and Minetan’s Absolute Mist will not fail to disappoint! 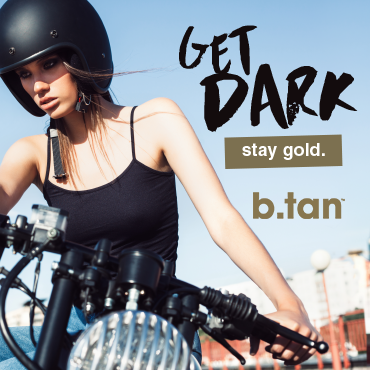 This product promises to deliver the most extreme dark tan that contains melanin activating intensifiers that combine with naturally derived DHA tan actives in order to produce a faster tan. In addition to this, Absolute Mist also stimulates skin cells in order to boost the color of the skin. However, your results are only limited by how dark you actually want to go. The product promises to deliver a tan that is a “wash n’ wear” within one hour to achieve a light to medium tan; but if you are striving for anything darker, the tan could take up to a two hours. Regardless of the extra hour you would spend in the shower, Minetan promises that the tan should last up to ten days without any visible patchiness. Can’t do a couple of hours? Don’t stress! Minetan also carries products that are wash n’ wear within the hour! 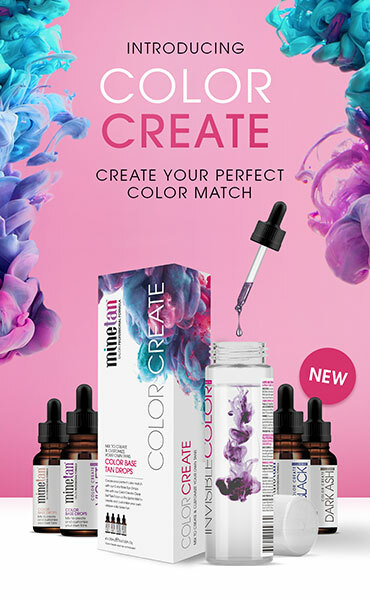 Their professional salon formula is suitable for all skin types and can be tailored to enhance the end result based on how dark you would want to go, stating that their products will work faster and last longer while delivering a natural chocolate bronze finish. The shower in one hour, My Moroccan Foam comes with no fake tan smell, no orange tones that come with most tanning sprays, a speedy drying time, as well as moisturizes your skin with multivitamins. In addition, this particular spray tan is infused with antioxidant-rich Argan oil to replenish and rehydrate the driest of skin. The express tanning agent within the spray tan product will begin to activate immediately upon application, and will replace any temporary bronzers applied on the skin prior to the first shower. Minetan promises that the tan will continue to develop and deepen in color over a period of twenty-four hours. If you are worried about how regular showering may affect your chic tan, there’s no need! With this particular product, regular showering can occur within a 16-24 hour time frame after application. Which means, your tan will remain as luscious and chic during a fun festival weekend! Now go buy those denim shorts you tried on last weekend. We’ve got a festival to go to!